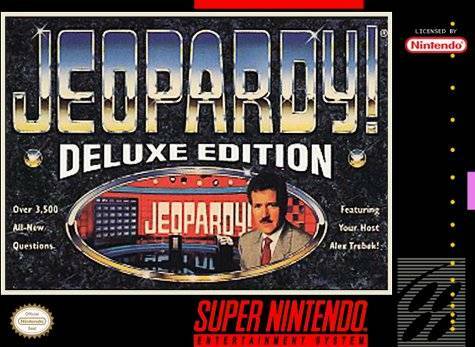 Based on the TV game show, Jeopardy Deluxe Edition for Super Nintendo brings the game to your home.hallenge computer generated opponents or two friends. Choose a category and dollar amount. If you can ring in with the proper question, you'll earn the money. Ring in with a wrong answer, and you'll lose that amount. There are more than 3,500 questions and answers.